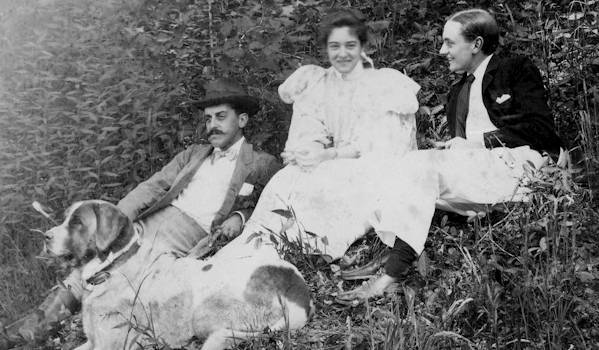 To create the reproductions, designers used photos like this one with George Vanderbilt, left, with niece Adele Burden and her husband, Jay Burden, June 1895. A new audio-guided tour (free with all online ticket purchases) uses 360-degree sound techniques. 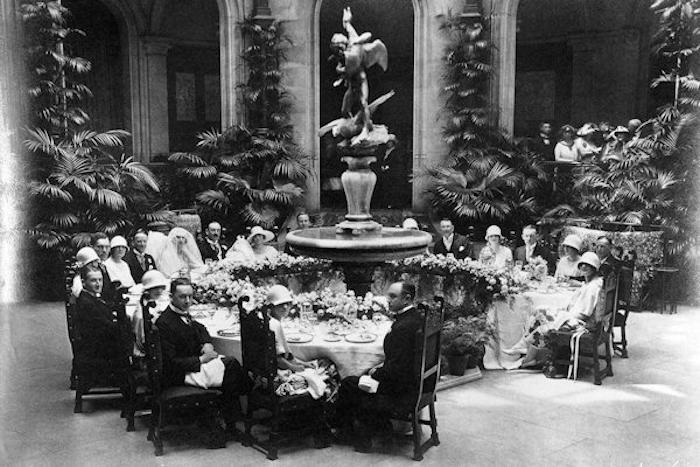 The narration is based on those who lived and worked in Biltmore House, and features a butler recounting the leisurely days and glamorous evenings the Vanderbilts’ guests enjoyed. 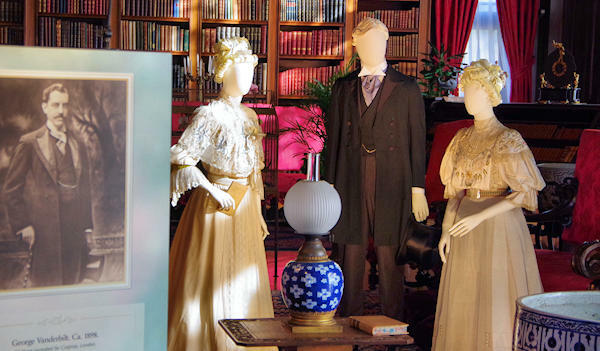 Listen in on staff as they work to prepare a grand multi-course dinner; as an opera singer rehearses before her evening performance; and as servants set an elaborate table in the Banquet Hall with family china, silver and crystal. Wow! Check out that table! 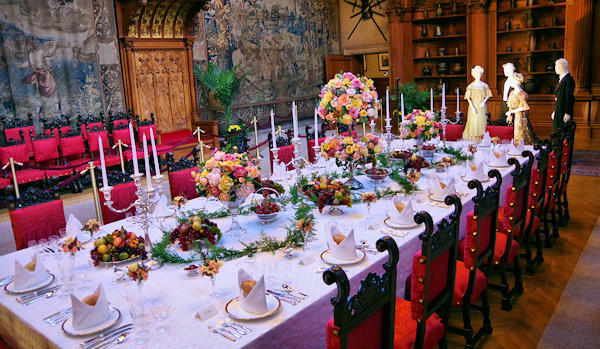 As usual, the Biltmore floral design team created spectacular floral displays to highlight this extra festive party exhibition. 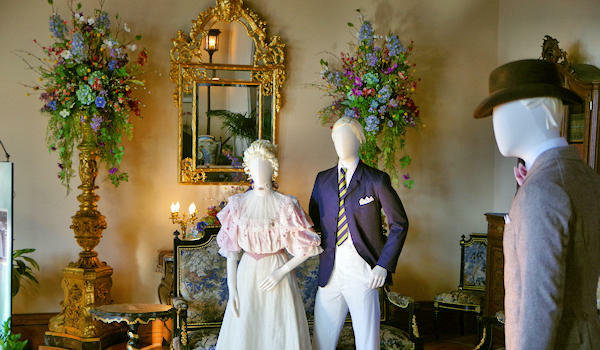 Buy tickets on Biltmore's web site at least 7 days in advance and save $10 (exhibition included in regular estate ticket). Admission is $50-$85/person, depending on the date. The lowest ticket prices are midweek in February. Pay more on weekends and holidays. Youth tickets ages 10-16 are 50%. Children 9 & under admitted free. Tip: Valentine's Weekend will be very busy! So buy tickets and make hotel reservations well in advance. 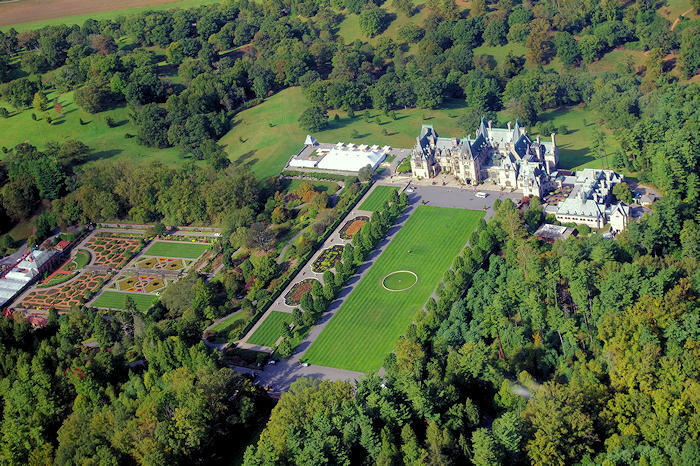 More: Plan your trip with our Biltmore Estate insiders guide - including the latest ticket specials. Winter is a great time to visit the estate. 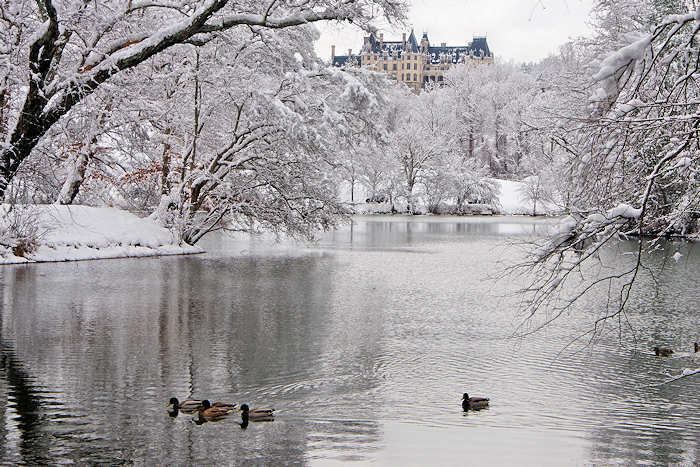 Read more about Biltmore visits in February & March. In April and May, Biltmore Blooms features plenty of spring beauty in the gardens. 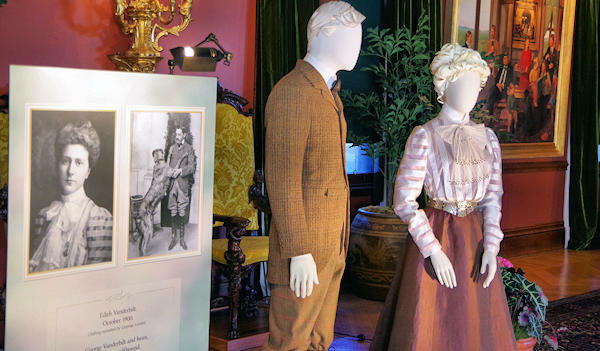 Stay in Biltmore's luxury four-star inn to see the elaborate clothing exhibition inside the House on February 8–May 27, 2019. Includes overnight accommodations, Chef's Breakfast Buffet, afternoon tea, admission to the House, premium audio tour, valet parking and estate shuttle. This festival of flowers celebrates two months of spring blooms that include 75,000+ tulips, orchids, azalaeas and elaborate floral displays inside Biltmore House.